Since 1979, Eheart Interior Solutions has been creating personalized, custom-crafted spaces for our clients. 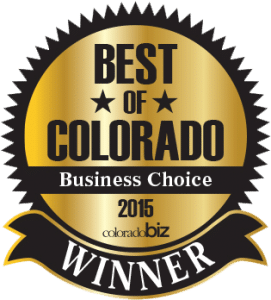 Our Fort Collins interior design experts and home renovation specialists bring the latest and best in style to all of our projects in order to deliver spectacular end results. Conveniently located near College Avenue and Harmony Road, our design center includes a retail showroom with vignettes featuring leading-edge designs for kitchens, bathrooms, furnishings, window coverings, flooring, and much more. The Eheart design team carefully selects the best-of-the-best products across a wide spectrum of categories, styles, and price ranges. We feature all components, cabinetry, decorative hardware, lighting, plumbing, countertops, wall surfaces, and flooring, all under one roof. Our interior designers can show you where to invest and where to save so that we can work together to create flawless home renovations and breathtaking interior spaces. It’s our passion to help you create rooms for life – bringing quality and style into every room in your home or business. At Eheart, we put our heart into everything we do. It’s how we design, decorate, renovate, rejuvenate, and renew your spaces. Our name says it all. Eheart Interior Solutions offers expert installation for all the flooring, cabinetry, plumbing, lighting, and counter-tops and window treatments, we carry. Our licensed and insured professionals bring craftsmanship and precision to your installation. From delivering beautiful results to a tidy clean-up, our installers pay attention to detail and respect to your home. Have a question for our experts? Start the conversation now.